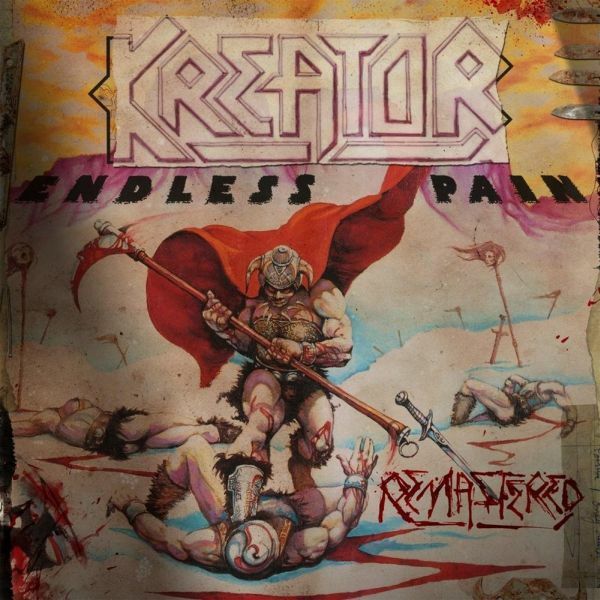 KREATOR - ENDLESS PAIN RE-ISSUE (DIGI-BOOK) | Online Shop | Wizard LTD. Album: "ENDLESS PAIN RE-ISSUE (DIGI-BOOK)"
This version also contains the band’s original demos when they were still known as Tormentor, one fittingly named Blitzkrieg (1983), and the other End of the World (1984). These fell into the hands of thousands of heavy metal fans engaging in the era’s bustling underground tape-trading network. Positive word of mouth soon attracted the attention of Germany’s own metal start-up, Noise Records, which signed the newly re-christened Kreator to a deal. This album presented in CD / LP / Digital format contain re-mastered versions by Andy Pearce and overseen by Mille Petrozza. New art has been created packed with rare photos and memorabilia and notes by Mille and Malcolm Dome (Metal Hammer) talking about the creation of the albums.